An adventure that makes you happy! SUPER-CHARLIE, a picture book written by Camilla Läckberg (illustrations by Millis Sarri) has just started its trip to Iceland. 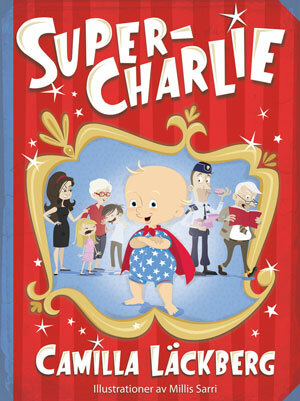 Icelandic publishing house Sögur Útgáfa has just bought its book rights and it is the fourteenth country for Super-Charlie is flying to! http://www.nordinagency.se/wp-content/uploads/2014/02/rights_sold_bw.png 500 500 Nordin http://www.nordinagency.se/wp-content/uploads/2014/02/new_logo.png Nordin2015-05-21 14:33:022015-05-21 14:33:02Super-Charlie to Icleand! 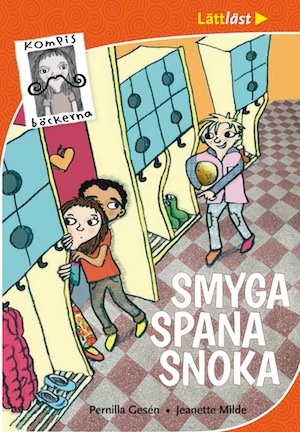 Anna Karolina’s second book to Finland! Finnish publishing house Minerva has bought book rights to Anna Karolina’s second book STÅR DIG INGEN ÅTER – NO MORE FISH IN THE SEA. 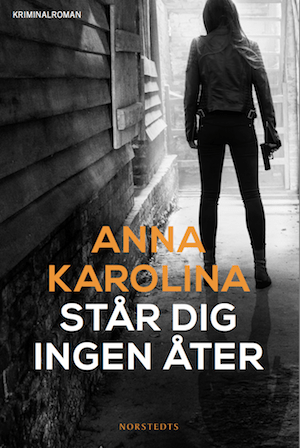 Anna Karolina has fourteen years of experience from the police department and the way she describes the police procedures and the ciriminal underworld are very authentic. She has received great reviews to her debut title Stöld av Babian – Stolen Baboon. Recently Australian publishing house The Five Mile Press has bought its book rights. http://www.nordinagency.se/wp-content/uploads/2014/02/rights_sold_bw.png 500 500 Nordin http://www.nordinagency.se/wp-content/uploads/2014/02/new_logo.png Nordin2015-05-21 14:22:442015-05-21 14:22:44Anna Karolina's second book to Finland! 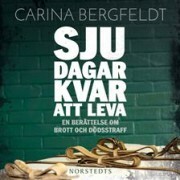 If you, like us, are a big fan of Carina Bergfeldt then don’t miss these great opportunities to see, hear and read about Carina and her new book SEVEN DAYS TO LIVE. A book so powerful and engaging you won’t be able to put it down. 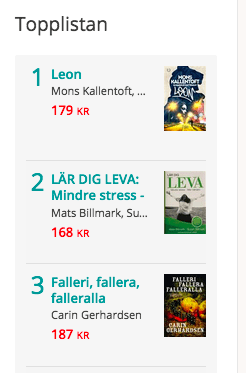 at the top list at one of the biggest Internet bookstores in Sweden, Adlibris (May 11, 2015). 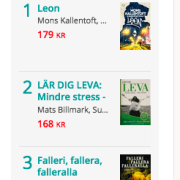 Leon is the second book of the popular series by Mons Kallentoft and Markus Lutteman, based on Hercules first labour to conquer an invincible lion. Falleri, fallera, falleralla is the final installment in her internationally best selling Hammarby Series. 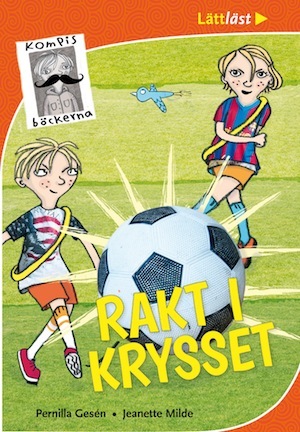 Danish rights to The Friendship Books sold to Rosinante & Co.
Rosinante & Co in Denmark has bought book rights for Sneak, Scout, Snoop and Straight to the Top Corner. 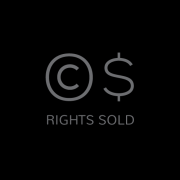 http://www.nordinagency.se/wp-content/uploads/2014/02/rights_sold_bw.png 500 500 Nordin http://www.nordinagency.se/wp-content/uploads/2014/02/new_logo.png Nordin2015-05-08 12:35:262015-05-08 12:35:26Danish rights to The Friendship Books sold to Rosinante & Co.
Viveca Sten’s TONIGHT YOU’RE DEAD, IN THE HEAT OF THE MOMENT and IN HARM’S WAY are sold to Albin Michel in France.